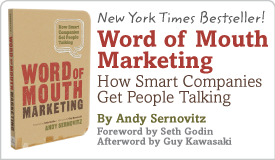 WordofMouth.org's 7 favorite word of mouth stories from 2012 | Andy Sernovitz | Damn, I Wish I'd Thought of That! In Troy, MI, unless voters approved a small tax increase, the Troy Public Library was on the chopping block for funds. But well-organized, well-funded Tea Partiers in town had made the vote about taxes, not the library, and it seemed the library was doomed. That is, until creative agency Arc Worldwide pulled a crazy word of mouth stunt before the vote: plans for a book burning party. This word of mouth tradition from 7-Eleven is awesome, and this year was no exception. 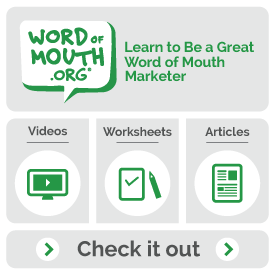 (Remember, if you have a great word of mouth topic, keep it going.) They let their customers vote for the presidential election with their coffee cups by choosing the one with their favorite candidate on it. They broadcasted real-time stats for different cities and even got The Onion to do some 7-Election video coverage. Best of all, it was easy to share with videos, downloads, social media elements, and the cups themselves. At The Ritz-Carlton, sending back left-behind items to their guests isn’t just a normal part of business, it’s a chance to make a great impression. For example, when one little boy forgot his giraffe, instead of shipping the toy back with a nice note, the Ritz-Carlton sent him back with stories to tell. They took pictures of the giraffe all over the hotel: enjoying a massage, relaxing by the beach, and helping out the Loss Prevention Team. The boy’s dad was so delighted, he made a video testimonial. Virgin America sold a charter flight to the Consumer Electronics Show on Gilt Groupe that offered something dramatic: a round-trip flight for 136 people, tickets to the show, and some pretty cool perks. For example, the plane would be decorated in a special decal of their choice for one month. This wasn’t just a one-off word of mouth gimmick — it was a stunt with a relevant connection to what they do for the people they want talking about them. Learn more: Damn, I Wish I’d Thought of That! When one man took his complaint against the misleading happy-go-lucky ads for Bodyform’s feminine products to Facebook, the humorous rant became viral. Bodyform could have written back a polite reply and let this moment pass. Instead, they took this opportunity to show off their sense of humor and gain tons of respect from everyone watching. They replied to the Facebook post with a personal response from a fake Bodyform CEO full of jabs at stereotypical feminine hygiene commercials. Taco Bell and Old Spice have little to do with one another, except that they’re not afraid to show their sense of humor. In a fun exchange between the two on Twitter, they called each other out on stuff like if “Fire Sauce” was actually made with fire or if Old Spice was made of really old spices. The conversation was silly, and it had nothing to do with their stuff, but it did say a lot about their brands’ personalities.